THE VAPE PEN is a disposable e-cigarette, meaning, this specific model was designed for single use only. Essentially, using one would mean having to throw it away right after consuming the e-cig liquid. Sure, the vape pen looks very simple, easy to use and manageable, but what would all those discarded disposable e-cigarettes mean for the environment? If we would constantly use and throw away these e-cigarettes, how would that impact mother nature? With the current state of our world, we cannot afford to be unmindful of our habits especially when it comes to waste disposal. A vape pen could be small and may not seem that much of a threat when thrown into the garbage, but imagine if thousands and even millions of e-cig users constantly throw out one of these devices. How much waste would we get from disposable e-cigs alone? If you are an avid vaper, this may sound a little bit depressing to you, especially if you are the type who sticks to disposable e-cigarettes. Nevertheless, scientists and entrepreneurs are in this environmental case long before the hype of vaping reached its all-time high. If you have just realized this painful truth about vaping and waste management now, well not them. 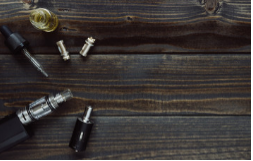 They are aware that disposable e-cigarettes are made up of different materials like glass, aluminum, and polyester, to name a few, which are recyclable materials. What these environment-concerned people are trying to figure out now is how they could possibly disassemble the pen in such a way that it does not compromise the quality of these components, and thus, allowing efficient recycling and reusing. They are currently figuring out means and ways to accomplish this. If successful, they would be able to apply this technology not only to e-cigarettes but to other complex devices, as well.